Initial results suggest that Abdullah Abdullah is in the lead in Afghanistan’s presidential election. While there is still uncertainty about the final results, what is now certain is the lead enjoyed by Abdullah Abdullah in the preliminary round of the recently held elections in Afghanistan. According to the IEC, after the counting of around 500,000 votes in 26 provinces Abdullah has established a lead of about 4 percent, polling at 41.9 percent as opposed to Ashraf Ghani’s 37.6 percent. The third runner up is Zalmai Rassoul,who is widely believed to enjoy the support of incumbent President Hamid Karzai, trailing at just 9.8 percent. After the announcement of the preliminary results on Sunday, it became clear that a run-off vote is inevitable unless some understanding is reached between the two front runners. For any candidate to be declared the winner, he or she must acquire over 50 percent of the votes, which appears unlikely in this case. Abdullah, an opthamologist by training, is of a mixed origin with a Pashtun father and a Tajik mother. However he is largely identified as a Tajik, which is the second largest ethnic group in Afghanistan (around 30 percent of the total population) after Pashtun (around 45 percent). He was a resistance leader against the Soviet occupation in the 1980s and a right hand man of Ahmad Shah Masood, a very popular Tajik leader, who kept on fighting the Taliban till the end. If Abdullah becomes the President of Afghanistan, it would be the first time in the history of Afghanistan that the country was led by a Tajik. “What lends credibility is the popular vote that brings the Tajik leader to the helm. He was chosen by the whole nation. It would be a great feat, a turning point for Afghanistan,” says Akbari, 33, who like many others had to take shelter in Iran during the Taliban regime. An ethnic Tajik, Akbari feels it’s long overdue that the leadership of the country goes into the hands of the minority Tajik. This election is different from the previous ones on many counts. Unlike the 2009 election, the candidates are demonstrating a greater democratic spirit. Ashraf Ghani, in a media interview on Sunday evening, said “We are in a 100 minute game and we have just completed the first 10 minutes,” thereby expressing hope that he might turn the tables in the next rounds of counting. The economist also hoped that when the complaints of fraud and cheating are investigated by Elections Complaints Commission (ECC), the gap between him and Abdullah will further shrink. “We have received 1,892 complaints with evidence, (including) 1,382 through phone,” said the ECC spokesman Nader Mohseni. Abdullah too exuded confidence of consolidating the vote further in the next round of counting. Compared to the 2009 elections, there have been fewer complaints of fraud this time. Last time, Abdullah was at the receiving end of the electoral fraud and it was only under intense international pressure that he agreed to lie low. On April 24, the IEC is expected to announce the partial results of the 2014 elections. The declarations that day will determine the future course of action by different stakeholders. If one goes by current trends, then a run off election seem inevitable in May. With the difference in vote share between the two front runners very narrow, it is highly unlikely that either of them would be open to compromise. For Abdullah, this might be the best chance to come to power. The ideal situation for him would be to secure victory in the first round itself. Analysts say that if the elections go to a second round then the former foreign minister’s chance to occupy the hot seat in Kabul will be diminished as the Pashtun vote that went to Rassoul will shift to Ghani. Political pundits also say that Ghani is more popular among the youth and other sections of society for his integrity and scholarship. However, one section of the intelligentsia believes that all the leading candidates would come to some sort of understanding after the second round. One line of speculation is that Abdullah would be allowed to become President and Ghani would assume the post of Prime Minister. Analysts say that the fractured mandate does not give one candidate the right to rule single handedly. Some say that any kind of political instability and uncertainty in Kabul would nullify the moral and psychological gains scored over the Taliban after the election. Observers say that the very fact that the Taliban didn’t disturb political rallies and elections demonstrates that they are waiting for an opportune moment to discredit the whole electoral exercise. If that happens, then the extremists will be able establish themselves as an alternative political force by mobilizing disgruntled elements in South Afghanistan, their traditional base. But no one is worried about that eventuality right now. 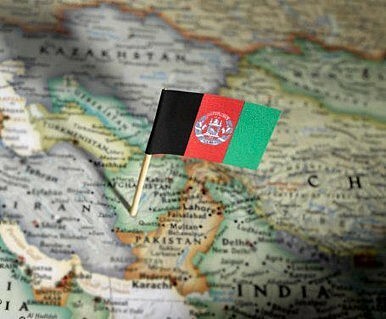 Afghanistan today is about new possibilities. If the popular mandate pushes Abdullah to the presidential palace in Kabul, it would be the beginning of a new dawn in Afghanistan. Abdullah Abdullah and Ashraf Ghani will participate in a run-off vote for the Afghan presidency on June 14. Ashraf Ghani and a Game of FiefdomsAfghanistan's Election Tipping PointPost-Election Afghanistan to Repeat History?Afghanistan Presidential Front-Runner Acquires Powerful EndorsementsWhat’s Next for the Afghan Elections?